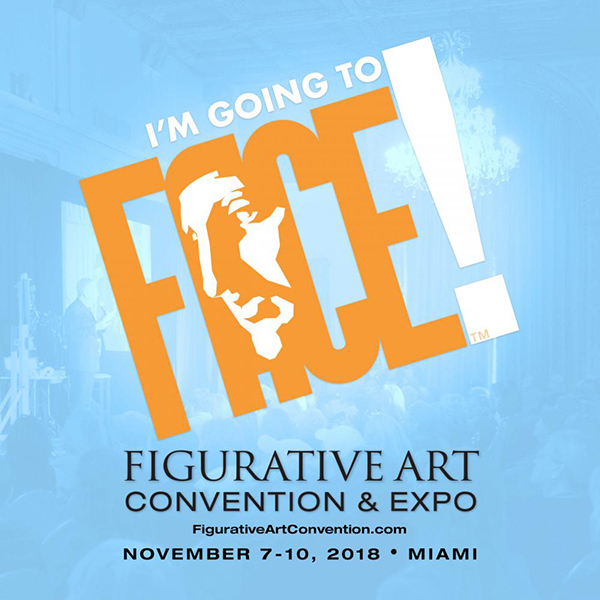 I am very honored to have received one of seven scholarships to attend the 2018 Figurative Art Convention & Expo, November 7-10, in Miami Florida! This amazing event, put together by Fine Art Connoisseur Magazine, will feature demos and lectures by the country’s top portrait artists. I’m looking forward to attending, and meeting and learning from these wonderful artists! More information on FACE can be found at https://figurativeartconvention.com.